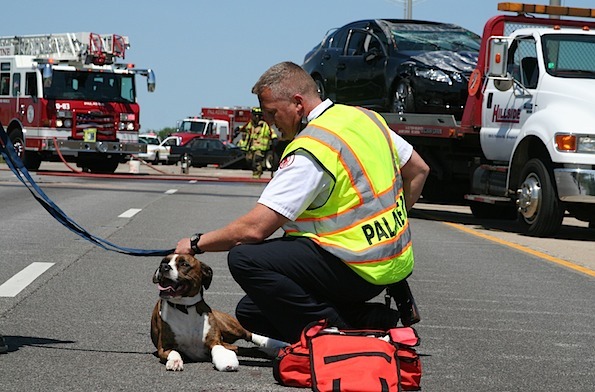 Palatine firefighter/paramedics and Illinois State Police responded about 1:28 p.m. Tuesday to a rollover crash involving at least two vehicles on southbound Route 53, just north of Euclid Avenue. People were freed from their cars immediately. 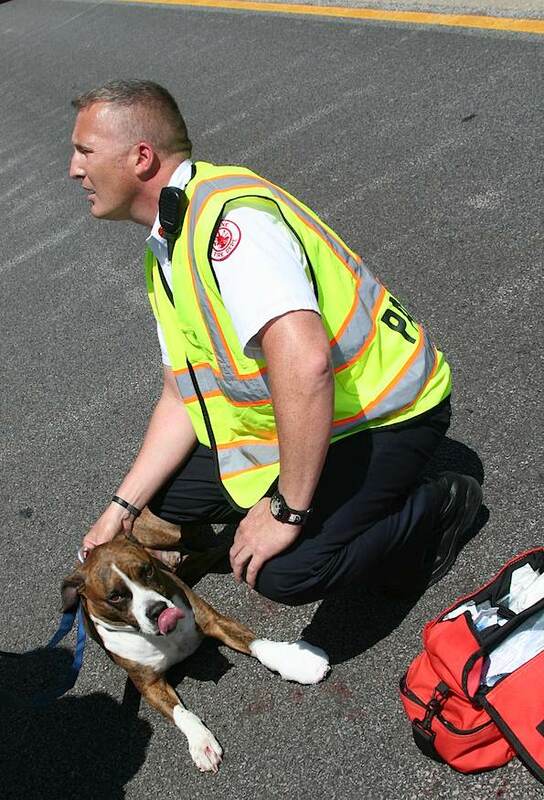 At least one person and a dog were injured in the crash. All lanes of southbound Route 53 were closed, and all entrance ramps to southbound Route 53 were also closed. 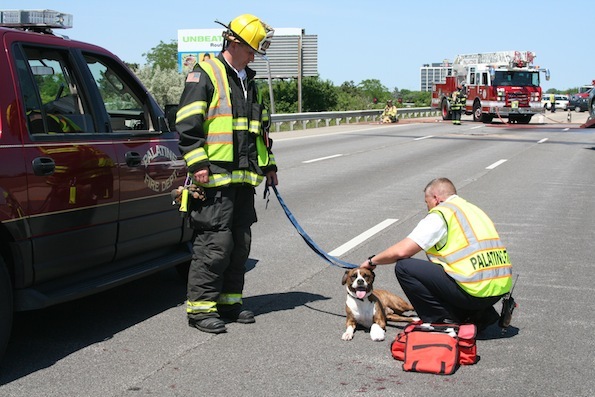 Route 53 was re-opened about by about 2:14 p.m.
A dog suffered injured paws in a rollover crash, but was bandaged up by Palatine Fire Department firefighter/paramedics. Getting ready to transport a dog injured in a rollover crash on Route 53. Ready to go! Transported to nearby animal hospital for checkup.